One of the simplest and perhaps most important rules of SEO for Prestashop is that “if you want to be found by Google, you also have to give Google something to find.” Maybe you love a website with not too much content and just a bunch of photos, but Google does not get too excited by that. When you think about it, it actually makes perfect sense, because how will you be found based on “buy wake-up light” if your website does not have any articles about that topic? If you only have a Prestashop full of different models of wake-up lights, then it becomes a lot harder to appear at the top of the search results. You will therefore need to ensure that your website is a combination of pictures and content. In this article you will read everything about SEO writing for Prestashop. We will tell you how you can get to a list of good keywords, how a content plan can help you, and how you can make sure that your content complies with all the rules of Google. If you want to write SEO for your Prestashop, you need to start with determining which words and phrases are interesting for you. We call this keywords. Those are the words that people search for and that you want them to come to your website for. When you take the time to do this, you can probably already make a nice list. If you have a Prestashop selling leather bags, then it’s obvious that you immediately think of terms such as “leather bag”, but it can also be interesting to think a bit further. Perhaps people that are looking for “gifts for Father’s Day” could also be interested in your product. Just like people who search for “trouble getting up” or “morning sickness” are possibly interested in purchasing a wake-up light. That may sound like a small detour which it probably is, but, crazy enough, a detour online can sometimes be more effective than going straight to your goal. When you have a lot of competition online, it is more difficult to be found based on terms like “leather bag”, “buy wake-up light” or “web shop clothes.” Competition on such terms can be so fierce, that the result of your SEO writing for Prestashop is zero. But with a little detour, you can still achieve a profit. But how do you discover these “out of the box” keywords. You can start by using Google yourself. When you type a search term into Google, you generally get a number of suggestions for alternative or additional terms. For example, “buy bag” is supplemented with “bag buy online”, “buy men’s bag” and “buy bag online cheap”. You can write these keywords down right away. Reading a number of articles related to your Prestashop product can also provide the necessary inspiration. You might just discover a synonym for your product. So it may just be that your target audience uses a different word than you had thought. A tool that can also give you a good insight into potential keywords is Google AdWords. If you give Google AdWords some of your keywords, it will come up with suggestions. You then discover a handful of keywords that you hadn’t yet thought of. However, it is easier to make use of Webtexttool. This tool includes all the tools you can find online for writing an SEO article for Prestashop. The only difference is that you only have to log into one tool and you don’t need to have several websites open at the same time. For example, Webtexttool gives advice on the keyword that you want to use. You get some suggestions for other keywords and you also get to see how often each search term is searched for and how strong the competition is. The English word combination “leather bag” for instance is being searched for 2,900 times per month. In addition, you can see that the competition for this keyword is as high as it gets. That does not mean you can’t write an article on this subject, but the likelihood that you are going to be found is small. This while the search volume for “Christmas” is much higher (18,100 search requests per month) and the competition much lower. That means it is possibly much more interesting to go for this topic and to get people excited about purchasing a leather bag through the topic Christmas. You could think of a list of potential Christmas gifts with a leather bag being one of them. Writing about a theme such as Christmas is something that fits in a content calendar. A content calendar tells you which articles you want to publish on certain dates. For example, you may decide that there are specific days in the year that you want to target with your products. If you have a web shop with everything you need for your dog, it’s a missed opportunity if you don’t publish an article around World Animal Day. The content calendar is also a way to decide what the most important article on your site is. The other articles on your site all support this one article. So they point to that one page with a link. That is one of the most important rules of SEO for Prestashop you should not forget. Google determines what your main page is based on the number of internal and external links that go to a page. If you have one page that is optimised to push visitors towards buying your product, it is therefore wise to make that page important in your content plan. You then determine that “buy bag” is your main article and that articles such as “buy leather bag”, “buy bag cheap”, “buy bag online” and “buy backpack” should all eventually have a link to that page. Ultimately you write one article about each keyword. Don’t use multiple keywords in one article and don’t write more articles around the same keyword, because Google then gets confused. 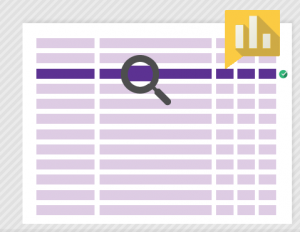 By creating a list of keywords and a content plan, you are not quite there yet. Google likes some articles better than others. That means that one article will more easily be found than the other article. This is because Google has a number of rules for writing an article. These rules change every now and then. So it can be quite complicated to keep track of that. 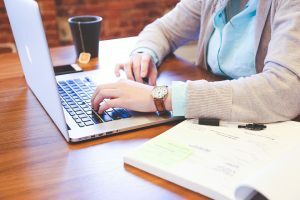 When you log into Webtexttool – something that is free – you don’t just get an analysis of the keywords that you’ve found yourself, but you also get free writing assistance. This tells you, when writing your article, what you still need to improve on and how good your article is at that moment. On the right side of the screen you’ll see a score that indicates how well your article is optimised for Google. In addition, Webtexttool always keeps track of which rules have been changed by Google. This means that you can always write an article according to the latest rules of Google. In addition, you can check your old articles every now and then to see if they still meet the latest rules. An important aspect when writing the articles for your Prestashop, is the content that describes your products. Never use the literal text of the manufacturer. These texts are also copied and pasted by numerous other web shops, therefore Google doesn’t see it as unique content and will not show it. By doing the descriptions of products yourself, you can make sure that your product descriptions are unique and you will not be penalised for duplicate content. This obviously applies to all content on your site. News, blog posts and other articles on your site must be unique. When Google discovers that they are already somewhere else, they will no longer be shown. Webtexttool will help you with SEO writing for Prestashop. From keyword to content calendar to final article. It replaces all online tools and brings them together in one place. 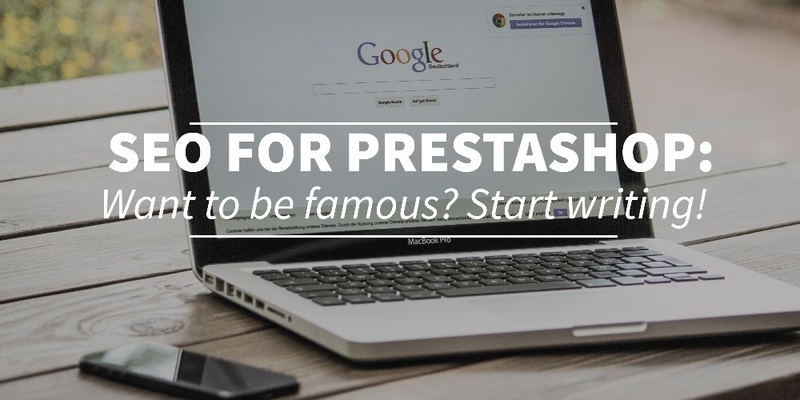 Something that will save you time when working on SEO optimisation of your Prestashop. Would you like to know more, also read read the first article about SEO for Prestashop.